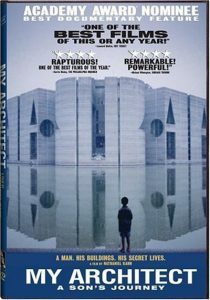 Nathaniel Kahn is the son of the great architect, Louis Kahn and the director of the stunning documentary, “My Architect.” In this award-winning film, Nathaniel Kahn explores the life and work of his father. Louis Kahn’s work includes the Yale Art Gallery, the Salk Institute in California, the Kimball Art Museum in Fort Worth and perhaps his greatest masterpiece, the capitol of Bangladesh in Dhaka. Many consider him to be one of the greatest architects of the 20th century.